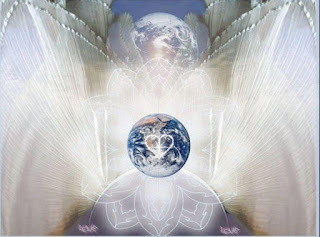 Welcome Ascending Souls! I AM grateful to share this Ascension path of soul remembrance and Divine Love with you all my Beloved Ones. A journey, from duality to unity, a journey to transcend matter through Spirit, as Ascension is nothing but the descension of our soul into our Human being. I honor and thank you all for sharing this sacred space with me! We are about to enter into a new energetic month, in which, we finally are going to witness the cosmic rebirth of our Planet into the 5D realm. A space where freedom, unconditional love and authenticity is our only way of BEing and existing. We have been in old worlds, ones that were useful for our soul growth but that - due to who we have become - are not aligned with our New 5D Timeline, any longer. We have been dissolving our inner shadows, bringing acceptance, light and higher understanding to what previously seemed unresolved for our lower self. After doing all the inner work, one that never ends within this endless Divine Spiral, we are finally ready to cross the veils of illusion - that once served us to experience a limited reality - and step into a New Octave, where a Higher Aspect of us, already dwells. It is during this new month of September, that our Beloved Planet is finally bifurcating from the 3D matrix. As you already know, it is not about a physical location, but about the frequency that we consciously choose to dwell within what decides if we remain under the enslavement of 3D forces or if we sojourn in a new space, within a higher realm. Fifth dimensional frequency, is a frequency you create as you ascend and embody, you hold it within, it is not an outer event, or something destined to occur globally that will change you. If you exist within this Higher Frequency, you will manifest according - seeing evidence of it everywhere. On the contrary, if you just read about it but do not do your inner work of consciously raising your frequency by releasing an old self, then, all you will see will be as well evidences of your lack of alignment. It is all a conscious choice. There is not outer miracles that will come and safe you, for you are the ones who must create them to begin with. The fiery energies that have been bathing us and that will continue to be with us - for at least six months - will be of great assistance for us to continue releasing at the same time that we keep integrating a higher level of consciousness. As always, the need to work with our emotional and mental body never ends and these fiery energies from the Eclipse, Lion's Gate and our Central Sun, are providing us with the proper frequency we need to keep with our healing work. As I always say, this is not a race, and there is not a fixed time to step into this New Higher Dimensional Space, as some of us, that already sojourn outside space and the 3D linear time, are already experiencing. During August and this new month of September, the energies will continue to be evident, returning old memories that were buried deep within our subconscious as well as other profound wounds - unremembered due to our human sense of denial - for us to clear what is waiting, in order to teach us something valuable, that will serve for our soul's growth. Every memory, independently of its nature, or how our egoic self labels it, shall be unifed - not erased or denied. This is what will bring us the opportunity of soul liberation and hence, integration, allowing us to finally release old vows and karmic ties as we begin to realise that no one has done anything to us to begin with. All was the pre-agreement of certain situations that were meant to help us during our earthly adventure. Never were we to to fully believe the evil nature of these actions. Regarding physical sensations, as I always say, we are all unique and generalizing will not help, only listen to your body will. The energies from the Eclipse and from other cosmic events happened on this summer, will continue to be strongly felt. The energies in themselves are doing nothing to you, it is your resistance to healing what cause you pain. When physical sensations appear, it is because your body is asking you to please listen to where you still hold old memories, pain, which is resistance to integrate this higher frequency we are receiving. the more you let go of that your egoic self still gets attached to, the more you will be able to soften these physical sensations that are impeding you to embrace the healer and master within You. It is time for us to recognize the treasure behind the lesson, the gift behind our human illusions and begin to see the Divine blessings of all we have experienced whether "good" or "bad". We will never reside in a Higher Vibrational Space, from mere words but from inner work and by constantly remaining in the Illuminated Presence of our soul, where all is love, equal, and has a Higher Purpose. At this transitional phase, and especially for the ones who feel they are navigating between these two realms, adrift, as well as for those who are beginning to step into this journey, remember Beloveds, the work of soul retrieval is essential for us to feel whole and at peace - not only within this individualized aspect called X, incarnated on this Planet - at this time - but with all the past, parallel, and "future" aspects of us that need this integration and purification. As you ascend, other aspects of you will do the same, even the direct souls - belonging to your direct soul family - who relied on your unique process, for their ascension. Yours is the opportunity of ascending while you are in the physical, yours is also a response-ability for everything that occurs, in your human life experience. All you thought was real, was nothing but an illusion, a distorted 3D reality, manipulated from many dark forces - and sources - that made you believe it was real. Old Earth was never as real as they made you think, neither were you. Now, within this new 5D space, we are the bringers of Truth, the re-builders of Earth in its purest form, and the ones who must come first by being renewed and purified of all human illusion. Are you ready? Or do you still feel attached to anything/anyone remaining in a 3D space that even if not aligned with your Highest Will - you consider essential? Remember, that which you do not say goodbye/release stays with you, impeding you to move forward. Do you feel free to walk your talk and express your true feelings? Or are you yet relying upon outer forces without seeing your inner and most powerful one? Being present, conscious at all times, makes all the difference. As a confirmation of the new beginning that is not just our experience but also that of our Planet, this month is a universal number 10/1 - 19 reduced. We are beginning to anchor ourselves within a New 5D Timeline, something that will take time, constancy and patience, for the journey is paved with challenges and the more we try to accelerate this inner shift and physically transition, the more we will be hindering it. This is what number 10 reprents, at this powerful time, a transition, in which, we are concluding an old cycle and beginning to anchor ourselves within a new one. It is this inter-phase in which holding a higher frequency is essential for us to be able to give this quantum step. In Tarot, the card that represents number 10 is the Wheel of Fortune, although if you choose number 19 will be the Sun or the Magician, if you prefer to reduced all completely and choose number 1. It does not matter what you choose, for all will lead you to a new beginning/Era, which is where we are heading. As I chose number 10, for I feel we are still navigating between these two worls, the card that represents this transition, is the Wheel of Fortune, which represents the change in destiny, that we have been able to accomplish, one that we have consciously created ourselves, and that only we know if the change that we have created from within will lead us to a higher space or to a lower one, for no one can ever predict where we are going but our own selves. At a cosmic level, we begin September by having the Warrior, Mars, entering into Virgo, together with the Sun in this same sign. The ferocity and impulsiveness - as well as the force of Mars - in the pure sign of Virgo, will help us to use all this strength to build something practical and lasting, which is what we need at this time of change, to build the strong foundations within the New that will serve us to build and expand ourselves within these new horizons - that we have just begun to delight in. To assist us in mastering our journey of descending into the tangible our soul desires, on this same day, Mercury will turn direct, although as you may already know, I do not feed the 3D old belief/fear of Mercury retrograde, and talking about something that is simply an illusion from Earth, will make me fall - again - into the same trap, and I am loyal to my own truth. The next day, on September 6, we will have a powerful and magical Full Moon in Pisces. As nothing occurs by chance within this loving and wise Universe, we ended up by having a Solar New Moon in Leo to burn the remnants of our old worlds and with Pisces, the last sign of the zodiac, the one that gives us the opportunity to transcend illusion, an old era of slavery, and begin to end all karmic contracts by being forgiven, by being compassionate with all we have created that did not serve us and with the regenerating power of Water, we begin anew. As occurs within Creation, nothing is left adrift, or is done without a reason within our dense plane, and this Full Moon happens at 13 degrees of Pisces, to help us transform, transmute and rebuild an old reality long ago fostered by not just unconsciousness but by dis-empowerment and lack of compassion. The 5D space that we occupy now, for like I said, it is a space and outer reality we create now, is not based on hypocrisy, on it is best to feign than to be, for we all remember now, for we all know, that it is not about being seen or acting, but about simply BEing. For it is in being that we become who we are - ourselves - and help others understand by becoming wayshowers of love. On September 9 Mercury, will enter into Virgo together with Venus doing the same on September 19, which will culminate with a wonderful and soothing New Moon at 27 degrees of Virgo on the next day, September 20. Virgo's essence which will rule the majority of this month is going to assist us to purify ourselves by being grounded. The earthly sign of Virgo, ruled by Mercury, is associated with the Virgin Archetype, which is by no means related to celibacy. On the contrary, it has to do with the Divine Feminine Archetype of wisdom, purity and wholeness - nurturing and loving everything she touches; in the physical. Virgo likes to serve humanity which is what gives her joy and purpose. The pure and loving sense of taking care of others that Virgo already possesses without forgetting the self and the practical aspects of life, which will be emphasized during the Pisces Full Moon. Mercury and Venus in Virgo, give us the opportunity to express ourselves with precision, love, equality and integrity. Mercury in Virgo will be too comfortable, for its rules Virgo, and we could fall into the extreme of being too mental, this is why the loving essence of Venus, will remind us the importance that being conscious of our thoughts - and words - have for ourselves and All. As Virgo tends to be too practical and analytical and even more with Mercury, Venus will remind us that we need to be sensible, with ourselves and within all of our relationships. For most of the time, it is not about what we think or feel or say, what hurts the most, but about what we do not express, what we deny to feel for ourselves and within our reunions. Being sensible means to become your own caretaker, for only by loving and accepting ourselves completely is that we can do so with others. venus will remind us the importance that not being diplomatic or practical has, but about the importance of discerning about what we are going to express before damaging anyone. The New Moon at 27 degrees of Virgo on September 20, will be a healing bath after the intense energies that we have been integrating and that most of the time have caused a deep impact within our physical bodies. These energies from the Virgo Moon will be helping us to soothe ourselves as we keep bifurcating from Old Earth. The Full Moon in Pisces invited us to see beyond our human reality and step into the vast ocean of our inner realms, becoming One with the aspect of us who is able to transcend the mundane to heal those deep wounds that are not yet brought into the light as well as to discover new realities - that even if unseen to our human eyes - as real as the dense world that we are physically experiencing. Virgo, on the other hand, invites us to ground ourselves as well as our soul purpose in tangible reality. For it is not just about building in the ethereal without giving form, but about enjoying these soul visions in the physical as well. On September 23rd we have the Sun entering into the sign of Libra, together with the Equinox. Both events are One as both are sending us the same message of unification and balance regained through the proper process of inner alchemy that we have been working on for a while. The Equinox passage will bring unification of both our dark and light aspects, and we will remember again that it is due to both Forces that we are whole and that it is only our human self who creates division and false judgements. As for the Divine: All is One and Equal. With Libra and Virgo energies this month, we have a very powerful and soothing time to balance our feminine and masculine essences within. We all have them, it has nothing to do with gender. If we desire to evolve and descend this 5D frequency within ourselves, first we must move beyond our deep sense of polarity and separation. One does so by beginning to unify themselves and once we create inner synthesis, feeling completely whole and in love, and in harmony, with ourselves and All, is that we are ready to give the next step wihtin this endless evolutionary spiral. The next day, Jupiter will quincunx Chiron. When Jupiter dwells in Chiron, it invites us to expand on healing. This is a wonderul cosmic encounter for us to find new methods of healing, opening our yet limited minds to find new ways in which we could continue working with the endless process of DNA re-connection, emotional healing and many other things we are dealing with as we keep unveiling more layers of our 3D self in order to embody/unify with our Higher One. With respect to the following aspects Im going to share, I know these aspects are seen as a curse, for the majority of the traditional astrologers, whose work I do respect and love. However, and even though I am not an astrologer, I simply interpret the energies in my unique way, you know I do not feed old beliefs related to the Planets, so in my humble perspective, I see almost everything as being always of great assistance for us to work with ourselves not something external that comes to punish us, for Planets, as well as us, simply are, and it is our the collective belief of them cursing us what manifests it, not the essence of the Planets in themselves. This is a time to work on self-limited beliefs, especially by having Chiron in Pisces, and with Jupiter expanding this healing essence for All. Furthemore, on September 27, Jupiter will sesquiquadrate Neptune, which will also help us to expand within our subsconscious mind in order to bring healing to all that is still hidden. It is a precious time to raise above restrictions and begin to recognize that nothing was ever fixed, linear or the same within Creation, for it was always constantly changing, evolving and transmuting itself into new ways of being. It was our limited 3D minds the ones that made everything static, unreal, and broken. Now, we know there is nothing to fix, but to release and unify, for we were never broken but unconscious to all the wonders that surrounds us as well as to who we truly are. Now, we are free, we have chosen to walk in love, in light and to accept all as it IS. At the present time, we know that in truth we were born healed, and that what we call disease, only came when we chose to cover our health with illusions, fears and unlove. Now we know that healing is our natural state of being, and that it will always prevail if we just choose to uncover all these illusory veils and begin to walk towards the Light of who we already are, and always have been. And as with healing comes freedom, on September 28, we have Jupiter opposing Uranus. Jupiter will expand Uranu's essence of breaking free from all that chains us. Observe your lower self, see how it behaves and especially the self-talk. Observe where you still think you must do this or that of if not... observe what will happen if you do not. Sometimes we tend to self-sacrifice, for others, due to fear and other times we are the ones who chain ourselves by allowing others to control us. It is vital to begin observing where we still do not feel free and unconsciously choose to restrict ourselves. Once you find out where you still react, rebel yourself or simply allow others to manipulate you, be compassionate, do not punish yourself, many people due to their feelings of guilt punish themselves in so many different and unknown ways! Some choose to be constantly telling themselves how ugly they are and how unable to change their reality. Others do that through addictions, and addictions are not just drinking, drugs and smoke, addiction is anything that we have given away our power to help us relieve the pain we feel, which only goes away when we see pain in the face, feel every feeling, embrace it, accept it and then let it go. Another important cosmic event at the end of the month, is Pluto, the Planet of Power, moving direct on September 28. While Pluto was retrograde, especially with Mercury as well, we saw the Truth while we dwelt in the depths of our soul, we took responsibility for our own creations - shifting, transforming and regenerating from within all that no longer resonated with who we are now becoming. Now that Pluto is direct again, we use all this power and knowledge to transform all the old into our physical lives as well. Pluto gives us the gift to be the shapehifters of our lives. It is constantly re-creating reality - as we are also doing so, from within - even if we possess a sense of stillness. It is an opportunity for us to keep destroying old worlds and start bringing into form new ones based on freedom and the bliss that following our true soul desires bring. September will be a continuation of the healing/releasing process - we have been doing for a while - that shall continue until we fully anchor ourselves within the frequency that is aligned with our current state of being. It is a time to free ourselves, and freedom comes when one is willing to dissolve and let go of an old world and surrender to what our Unified Self has prepared for us. Liberation comes when we consciously decide to embody a higher level of consciousness, for it will illuminate all the illusions that are still within our human minds, and consciously choose to dissolve all that is not is the Truth. Freedom means mastery, one that we used to admire in others and that we recognize now in ourselves, for the time to be a passive follower, the guru times, have gone, for now we remember who we are, knowing that we are all equals and that we all have the power within to become masters, healers, and sovereign beings of our own life experience, sharing - who we are - not as teachers but as humble and integrated beings who only wish to assist, expand and be the wayshowers of the New. With freedom also comes the bliss and the gratitude of being able to see - from a Higher perspective - what we were not able to envision when we were unconscious. However, with freedom also comes the commitment of taking responsibility for every thought, word and act, knowing that when we harm others, we are doing it to ourselves, for with a higher awareness comes Truth, and the Truth is that we are all One experiencing the illusion of being separated. Are you ready to confront your shadows, liberate yourself from your 3D egoic personality, and finally be free to walk as the Light that you are without being conditioned by your old fears? As always, yours is the choice to embrace freedom or continue to choose slavery. I wish you All a soothing and miraculous September, Beloveds! Thank you for your support on my journey if you feel guided to do so. I truly appreciate all your generous donations! Copyright © 2019 Natalia Alba. All Rights Reserved. Con la tecnología de Blogger.